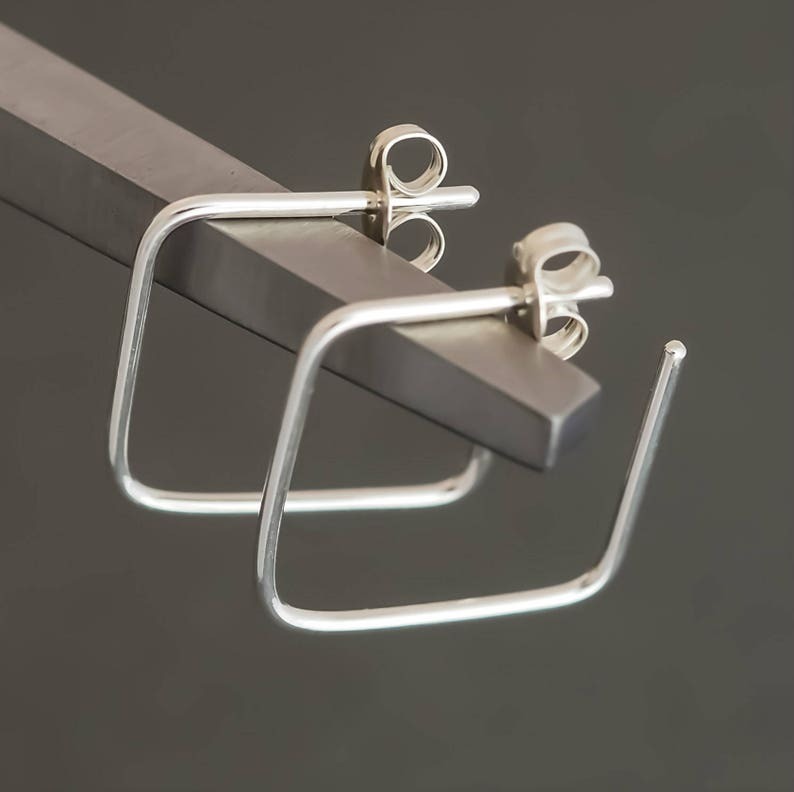 Minimalist small hoop earrings formed in a square shape are made from reclaimed and recycled sterling silver making them an eco choice. Just a touch of boho fun, yet classic enough for work too. These simple geometric shaped earrings are so light and comfortable you will forget you are wearing them. They are 18mm in length and width. Medium Hoop Earrings. 25mm Hoops. Sterling Silver. Polished Sleepers. Minimalist Jewellery. Small Hoop Earrings. 20mm Hoops. Sterling Silver. Polished Sleepers. Minimalist Jewellery.